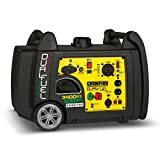 When it comes to portable inverter generators under $500 that are on the market today, you can bet that there are more than enough choices for you to choose from. However, although this is true, there are a few that still stand out from the pack. 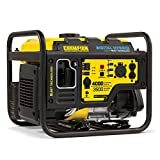 Now to make things easier for you, instead of you having to go through the many just to find the few top rated, we have taken the time to research the market and have put together a list of theses generators that are some the best for your money. So with that said, check out the selections below. A powerful unit that is simple to use and has a great price can be found in the Pulsar PG2000iS 2000W Peak Portable Inverter Generator. This is a popular machine with an excellent rating. Key features include 1600 watts with peak of 2000 watts with a quiet operation of 61 dBA. It also has a 79cc 3.5 horse power engine with a 1.18 gallon tank that can provide 6.3 hours of run time at half the load. It has parallel capability with a compact design and so much more. 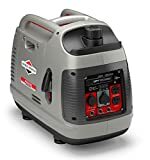 Another solid pick that is lightweight and portable is the Westinghouse WH2200iXLT Super Quiet Portable Inverter Generator. This one is a top seller and has over 250 customer reviews and high rating. Some of the features that you can look forward to is 2200 peak watts on this gas powered unit. It is a great choice for your home as an emergency backup power source. It is really quiet at 52 dBA and parallel capable which means that you can combine it with another of the same model to increase the available wattage and amps. 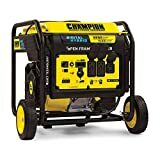 Based on customer reviews, the WEN 56200i Super Quiet Portable Inverter Generator works amazing and it great for camping and more. This model has over 500 customer reviews and as you can see, it is very popular and in demand. It operates very quietly and it has an EPA III and CARB Compliant 79.7 cc 4 stroke OHV engine. You can get 200 surge watts along with 1600 rated watts and it includes dual three prong 120V receptacles and 1 12V DC receptacle and it is great for campgrounds, tailgate parties, power outages and more.